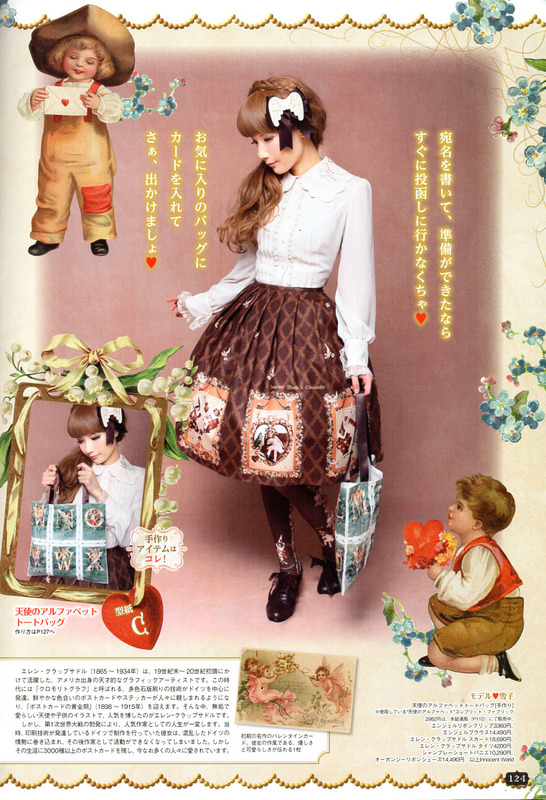 For this Xmas issue, they did a tribute to a turn-of-the-century American illustrator named Ellen Clapsaddle, and use printed panels of her illustrations on fabric. It appears to be a limited edition printed fabric that was never available in the West, I assume. However, you should be able to find similar printed panel fabric at your local quilt shop. The patterns are simple, and designed around the small panel prints. 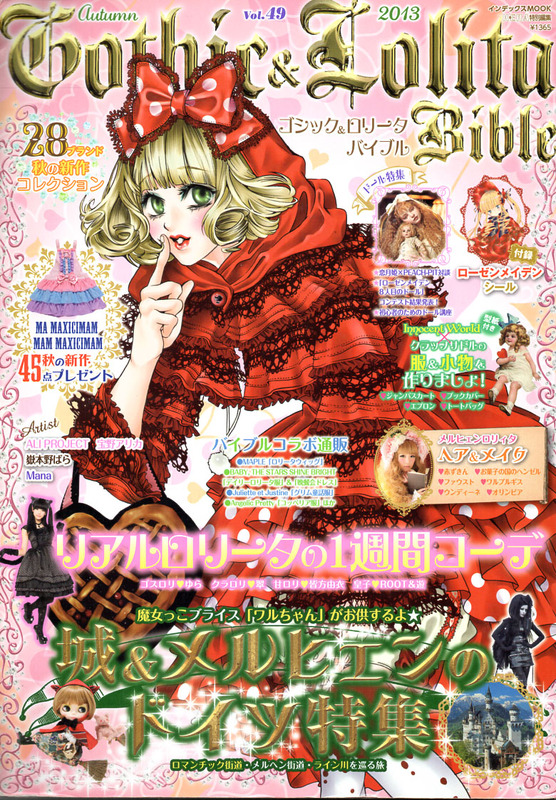 The book cover pattern utilizes the size of the panel the best. Then there’s a tote, and an apron, both of relatively simple designs to make them unspectacular. 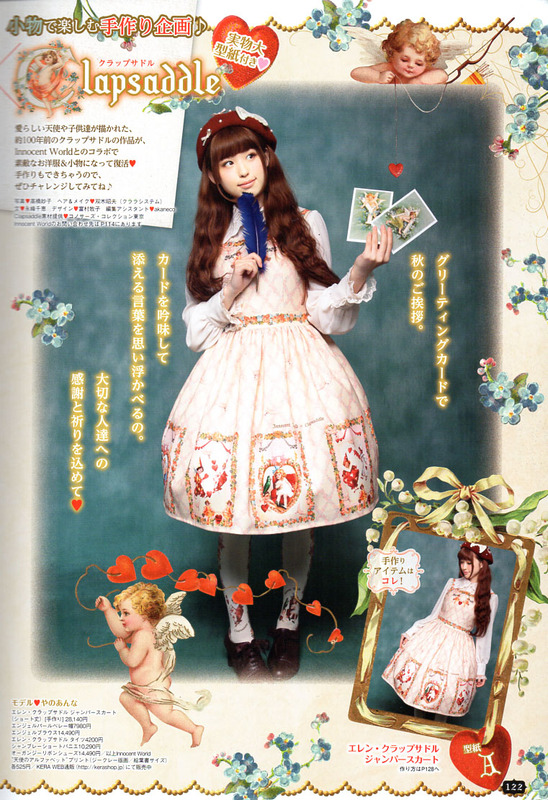 There’s a simple JSK pattern that might be nice here, by Innocent World again. Same idea, and fits well if you’re a small. I wish these things came in bigger sizes. While the patterns are beautiful, I find them very hard to understand. I scan the instructions and then run it through Google translate, but it rarely makes sense. 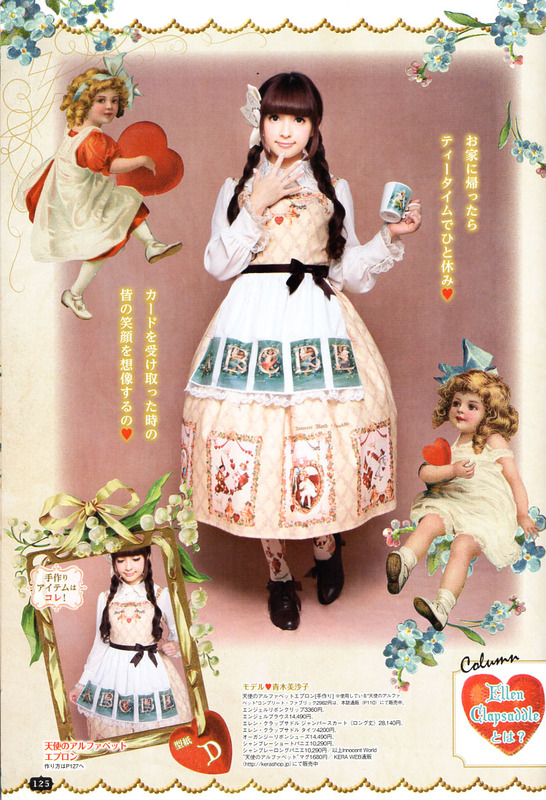 With this JSK, I think I’ve worked it out but will make a muslin first. 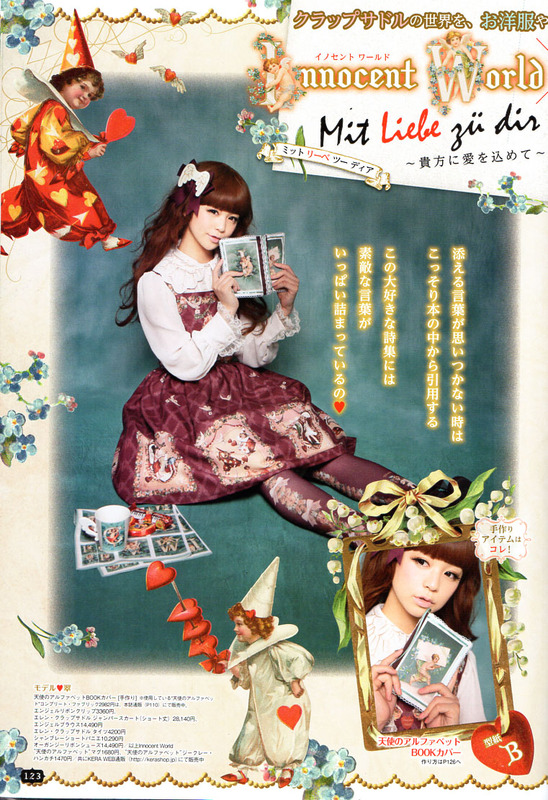 I prefer the otome no sewing books as there are pictures to follow. Do you find these hard to understand, or do you find that your sewing experience means you know how to make it without instructions? I love your blog and really admire your projects. First, thank you so much for your interest in my blog! I’m sorry I’ve been lax lately. I might have to write an entry explaining my absence. In short, I got engaged and moved into a new house. heh… to answer your question: Yes, I find my experience in sewing helps tremendously in being able to decipher the patterns. I don’t need to read the instructions, but do find myself looking at the pictures a little more closely sometimes. Still, they’re all basic shapes that I’ve put together before – generally speaking – using other patterns in English (like Simplicity, McCalls, et al). I keep meaning to pick projects out of the GLBs and Otome no Sewing books to walk readers through them with my own instructions. Times have been chaotic as of late. I love requests, if you have a particular pattern you’d like to see put together!